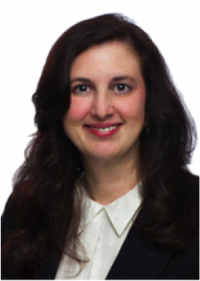 Francine M. Giugno is a partner with Carter Law Group. She was accepted at Tulane University Law School with a scholarship and graduated in 1996. She was a judicial extern for the Honorable Steven R. Plotkin. She also served as a law clerk to The Honorable Clarence E. McManus and The Honorable H. Charles Gaudin. After her clerkships, she practiced with well respected law firms in the Greater New Orleans area. When she is not practicing law, she enjoys ballroom dancing and cheering for the Saints. Francine’s practice focuses on insurance defense and coverage, extra-contractual liability, environmental law including toxic tort, premises liability, construction litigation, transportation and municipal law. Francine has successfully represented insurance companies and corporations. She has won summary judgment motions and obtaining favorable results in mediation and trial. Francine is an active member of Claims & Litigation Management Alliance and has served as Co- Chair of the Education Sub-Committee of the Construction Committee of the Claims & Litigation Management Alliance. She also served as Vice-President of the New Orleans Chapter of the National Association of Women in Construction. Francine has been involved in the New Orleans Chamber of Commerce, Jefferson Chamber of Commerce, Louisiana Association of Defense Counsel and The Risk Management Society. Francine is admitted to practice in all of the Louisiana State and Federal Courts and the state courts of New York. Represents commercial general liability insurers, automobile insurers and general liability insurers in all types of insurance defense actions. Defense counsel for insurer following Hurricanes Katrina and Rita. Successfully appealed a judgment against an insurer in a Hurricane Katrina case and reduced the award from $4,008,525.25 in compensatory damages and statutory penalties to $282,799.25. It was one of the largest reductions in a Hurricane Katrina case. Chalmette Retail Center, LLC v. Lafayette Insurance Company, 2009-0217 (La. App. 4 Cir. 10/16/09), 21 So.3d 485, writ denied, 2009-2685 (La. 4/9/10), 31 So.3d 392. Obtains summary judgments in liability and coverage actions. Represents insurers against allegations of bad faith claims handling. Obtains favorable judgments in bad faith claims handling actions. Represents corporations in environmental matters and toxic tort claims. Dismissal of claims in summary judgment motions. Successfully argued to the Supreme Court of Louisiana that the Comparative Fault Statute applies to wrongful death claims in long latency occupational disease cases instead of contributory negligence, which did not provide for the assessment of fault against bankrupt entities. Landry v. Avondale Industries, Inc. 2003-3432 (La. 7/2/04), 877 So.2d 970. Represents retailers in slip and fall and falling merchandise claims. Obtains summary judgments in favor of retailers. Obtains a jury verdict in favor of a shopping center against a plaintiff who claimed that she fell in a hole in the parking lot. Quinn v. v. GGS, LLC d/b/a Magnolia Shopping Center et al, 03-682 (La. App. 5 Cir. 12/09/03), 862 So.2d 324. Represented City of New Orleans in utility matters. Represents commercial motor vehicle carriers in negligence and freight claims. Obtains summary judgments in favor of commercial motor vehicle carriers and insurers. Represents construction companies and insurers in construction defect claims. Obtains summary judgments on behalf of construction companies and insurers. Francine was elected President of the League of Women Voters of New Orleans in 2013 -2014. She was also Co-Chair of the Education Sub-Committee of the Construction Committee of the Claims & Litigation Management Alliance as well as the Vice-President of the New Orleans Chapter of the National Association of Women in Construction. In 2009, she graduated from the Metropolitan Leadership Forum. Co-Author, “Be Aware of Significant Revisions to ISO’s 2013. Additional Insured Endorsements,” CLM Litigation Management Magazine (Winter 2015). Co-Author, “Spreading the Risk: Use of Indemnification Provisions and Commercial General Insurance Coverage,” CLM Litigation Management Magazine (Winter 2014). Speaker – “The Emerging Trends in Slip and Fall Jurisprudence,” Retail, Restaurant & Hospitality Conference, Claims & Litigation Management Alliance, Dallas, Texas (February, 2014). Speaker – “Emerging Issues Regarding the Effect of the 2013 ISO Amendments to the Additional Insured Endorsements on Construction Litigation,” Construction & Environmental Conference, Claims & Litigation Management Alliance, Boston, Massachusetts (August, 2014).